A familiar Nissan lies behind this pretty facade. Badge engineering is the practice of selling a single vehicle under two or more brands. It’s not done as egregiously these days as it used to be (remember the later days of Mercury? ), but it’s still with us, lurking beneath the shallow facade of differentiated sheetmetal. Such is the case with the Infiniti QX60, which is the too-close-for-comfort cousin of the Nissan Pathfinder. 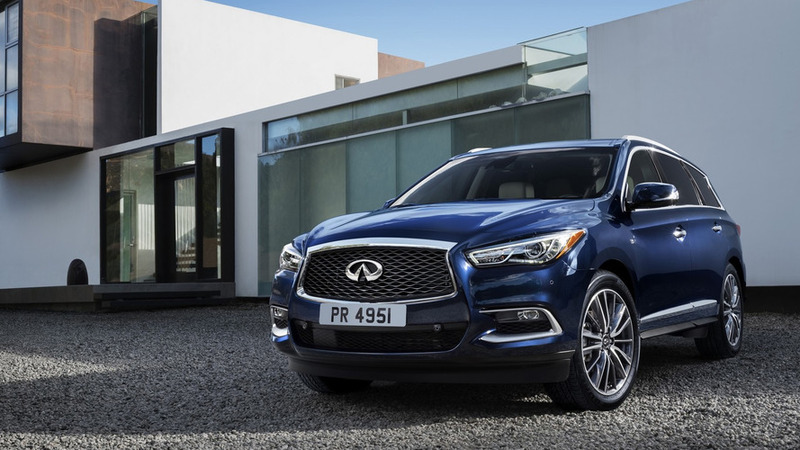 While Infiniti wishes three-row crossovers from Audi, Mercedes-Benz, and Volvo came to mind when thinking of the QX60, the only thing we ponder is the fact you can buy a fully loaded Nissan Pathfinder for the same price as the base version of its Infiniti sibling. 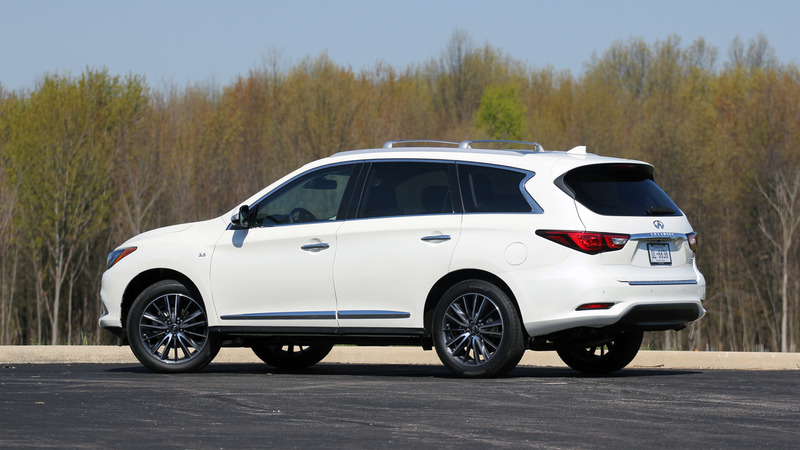 That’s a tough cross to bear, especially for this nearly loaded QX60 that costs almost $60,000. No matter how hard I am on the QX60 in other areas, one way it sets itself apart from the Pathfinder, as well as more expensive European competitors, is its styling. 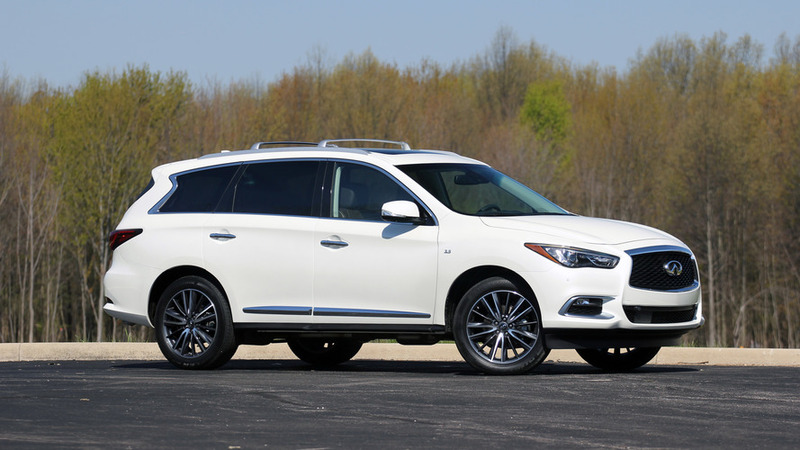 I find it extremely attractive and like it more on the QX60 than any other Infiniti. 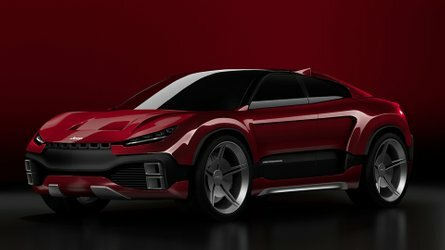 In fact, if I were a car designer with a penchant for hyperbole, I’d say the front reminds me of the veiled face of a woman in the wind, where the fabric drapes flowingly around her features. Sort of like this. I’m not, though, so I’ll just say it looks really nice. I’ve driven many three-row crossovers, some of which try to be sporty and others that are as comfortable as a living room couch. Neither are what you want to live with everyday, and the QX60 does a smart thing by splitting the middle with ride and handling chops that are neither too firm or floaty. 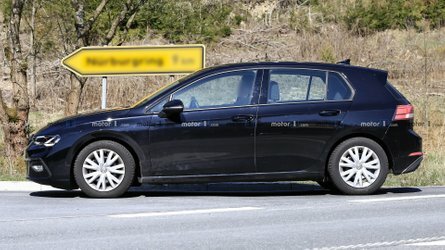 It rides down the highway in a well-controlled but pliant manner, and it doesn’t feel like it’s going to fall over in a sharp turn. I’ll ding the QX60 in a moment for all it shares with the Pathfinder, but one thing it’s fortunate to have in common is the magic way its second row of seats folds forward to allow entry to the third row. The bottom seat cushions tilt forward on their front hinges and get pushed against the seat backs as the whole mechanism slides forward. A gaping maw of ingress is created that goes unmatched in the segment. Unfortunately, the third row itself isn’t that great, with limited head and legroom (the second row does slide forward) and flat seat cushions that are low to the floor. There was a time when V6 engines from Nissan and Infiniti were legendarily smooth and powerful. They’re still powerful, but the QX60’s 3.5-liter V6 feels coarse and sounds remarkably loud for a luxury vehicle motor, at least under moderate to heavy acceleration. 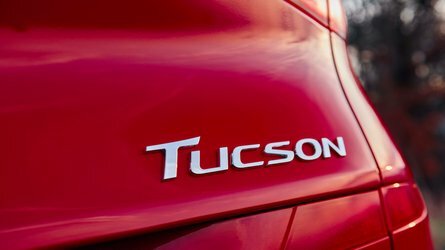 Its 265 horsepower and 248 pound-feet of torque are perfectly adequate for the job (and a little better than the same engine in the Pathfinder thanks to drinking Premium fuel), but its volume and vibrations are not befitting its price and position. The continuously variable transmission, again the same one you get in the Pathfinder, may not be helping matters. 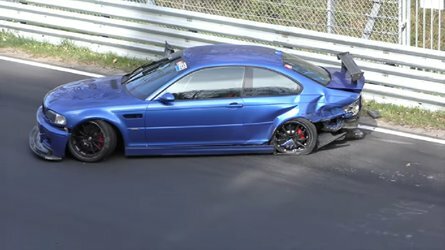 It takes the unmelodious engine and pins its RPMs in one place while you’re accelerating, creating a grating one-note drone. Other times, the CVT behaves like a traditional transmission; when you suddenly accelerate, the tach needle jumps like you’ve downshifted to a lower gear. But there are no gears, just software telling the CVT to behave more like something people are used to driving than what they actually are. And frankly, a CVT doesn’t seem in character for a nearly $60,000 crossover. Infiniti should enter the arms race of transmission ratios and offer an 11-speed. We’d be happy with just a really good seven-speed automatic, too. I may sound like a broken record because I make this argument about all Infinitis, but they generally feel like a more-expensive version of a Nissan because they use a lot of the same pieces in their interiors. The push button for starting the vehicle, the little seat heater and cooling knobs, the infotainment software, the visual alert for the blind spot warning system – dozens of things like these inside are shared between the QX60 and Pathfinder. 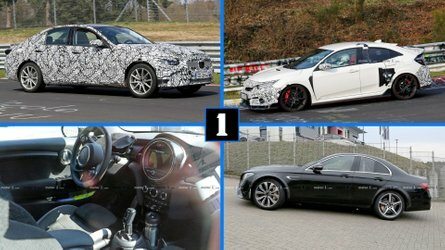 It wouldn’t be a big deal if these features were developed to a higher standard for Infiniti, but they’re the cheapest versions Nissan could find.